PSTS Foundation understands that the first few years of the child's growth can be very important and it is the guidance in these years at the play school that prepares them to face the world ahead of them. 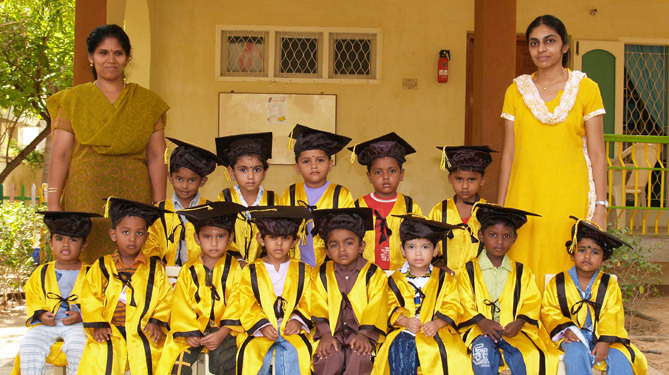 At Sundaram's Smile Play School care is taken to ensure that the development of the child is holistic. Besides just playing, the school gives importance to instilling concepts such as logic, music and responsibility, all in an environment of warmth and lots of love.